People-pleasing happens when you value other people’s opinions of you more than your own opinion of yourself. 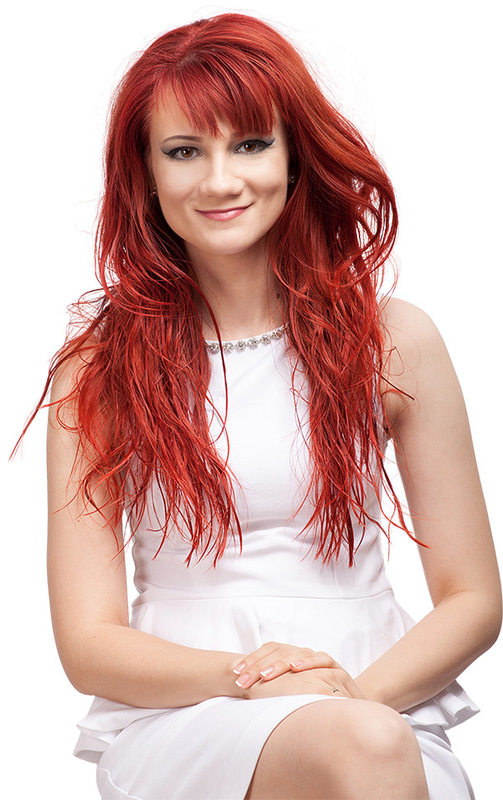 It’s all about how you want to be perceived by others and it’s something that I’m going to help you with. Before we jump into my 3 practical tips on how to stop people-pleasing that you can implement right away, let’s take a look at what a people pleaser does in his everyday life. In a nutshell, if you put everyone else’s needs before your own and disregard your own views of the world just so that you could get outside approval, you’re expressing some serious people-pleasing tendencies. So, how can you stop people pleasing and start living your life on your own terms instead? If you’ve been trying to please everyone but you your whole life, it can be difficult to track the actual reason for doing it in the first place. Let’s take a trip down memory lane. I want you to take a few deep breaths and close your eyes after reading the following questions. Try to remember a time in your life when you were little and your parents told you to do something in a certain way that you didn’t feel like doing. How did you feel? Did they give you a reward of some kind afterwards – like praise, a hug, or approval? Did they punish you if you misbehaved? Did you crave their attention and affection and make the decision to morph yourself into whatever they wanted you to be, just so that you could feel accepted by them? Once you’re ready answering these questions for yourself, you can open your eyes and become familiar with your surroundings. Here’s what we’re going to do now with all that memories that I wanted you to access. Bringing awareness to your people-pleasing behavior is the first step to changing it. Now, what’s the trigger in that case? It’s the psychological stimulus that prompts recall of a previous traumatic experience. So, to put it in a few words: before you please other people, something happens in your mind, and you need to watch out for the trigger that brings you back to your past trauma. We all have these repetitive negative thoughts that lead us back to our traumas. 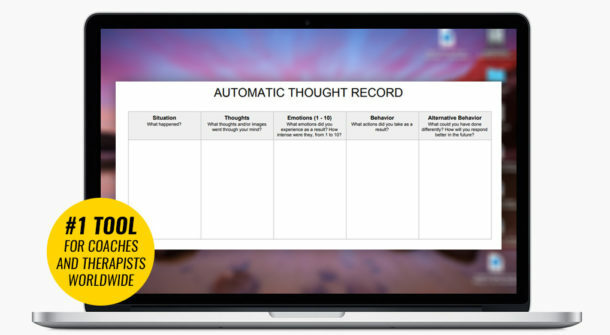 The Automatic Thought Record Tool helps you become more aware of your own behavior and the triggering thoughts that lead to making the decisions that you make at the moment. ✔ What did they say or do? ✔ What thoughts or images went through your mind? ✔ How much did you believe your thoughts at the time? ✔ What emotions did you experience as a result of your thoughts? ✔ How intense were they (from a scale of 1-10 for every emotion)? ✔ What actions did you take as a result? ✔ What decision did you make? ✔ How did you react to the other person? ✔ What did you say or do? After writing all of this down, it’s time to take an objective look at it and move on to the last part – your alternative behavior: the behavior that you choose to adopt that will give you the best possible outcome in a similar kind of a situation. ✔ What could have I done differently in this situation? ✔ What will I do if a similar situation happens in the future? ✔ What actions will bring me closer to my goal of standing my ground and being true to my values? You can use The Automatic Thought Record Tool whenever you want to raise your consciousness and apply it for any situation that you want to reflect on. Now that we’ve established what your thoughts are, what emotions they bring up in you, what actions you take as a result and how you can change your behavior, let’s take a look at tip number 2. But for the purposes of this blog post, I’m going to tell you the most effective tool I’ve found when it comes to setting healthy boundaries: learning to say ‘NO’. For a people-pleaser, it can be extremely difficult to say ‘No’ to other people because they fear that they’re going to upset the other person or they’ll seem like they’re inconsiderate in their eyes. Here’s the truth: if you’re a people-pleaser, it means that other people can sense that in you and take advantage of the fact that you put other people’s needs before your own. So, by saying ‘NO’ to people and opportunities, you’re not only going to respect your own feelings but you will also earn the respect of the people around you. Just think about it: isn’t it better to have a few positive, kind-hearted people around you that are going to accept yourself exactly as you are than to have hundreds of manipulative people who only like you when they can take advantage of you? Honor your truth, stand up for yourself, and believe that you deserve to be appreciated and accepted for the person you truly are. And first and foremost, you need to learn how to respect yourself before you even begin thinking about earning other people’s respect. Here’s an exercise that you can try to set healthy boundaries: next time someone asks you if you want to go out and you don’t, just say ‘No’. No explanation required. If they’re really close to you and you want to give them an answer, just tell the truth: I don’t feel like it today. That’s it. If they truly care about you, they would understand. And if they don’t, that’s their problem. What you need to do is to stop taking responsibility for other people’s reactions! YOU are the person that should matter the most in your life. So, make sure to tune into yourself and know exactly what you want before you make a decision on how to react to other people. People-pleasing happens when you’re too focused on other people’s reactions and you’re disconnected from your own truth. Here’s how to tune into yourself better and do things that bring your closer to your inner wisdom. ✔ What are the top 5 things that I like about myself? ✔ What are my 3 favorite things to do? ✔ What is the best happy song of all-time? ✔ What did I like to do the most as a child? The purpose of these questions is to help you become more focused on the things that bring you joy and the unique quirks that make you YOU. If you take the time to do things that energize you and make you feel fulfilled on daily basis, you’ll find out that you won’t be focused as much on other people’s opinions and reactions. What is your people-pleasing story and what steps are you willing to take to become your best, most authentic self?